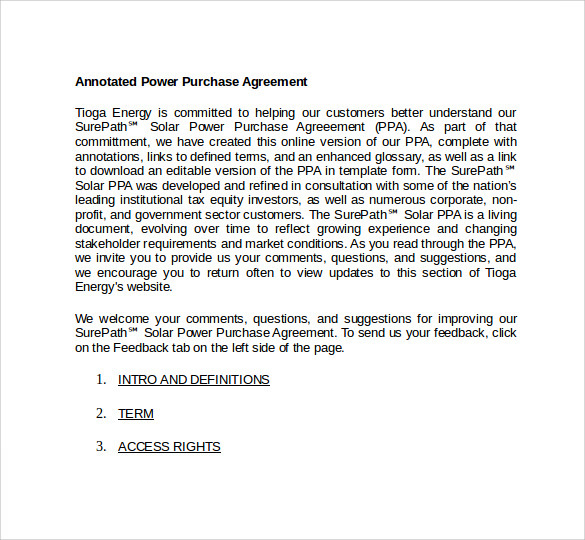 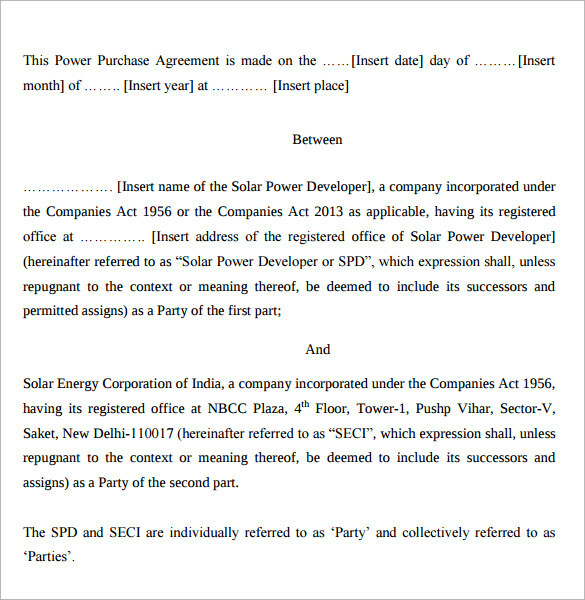 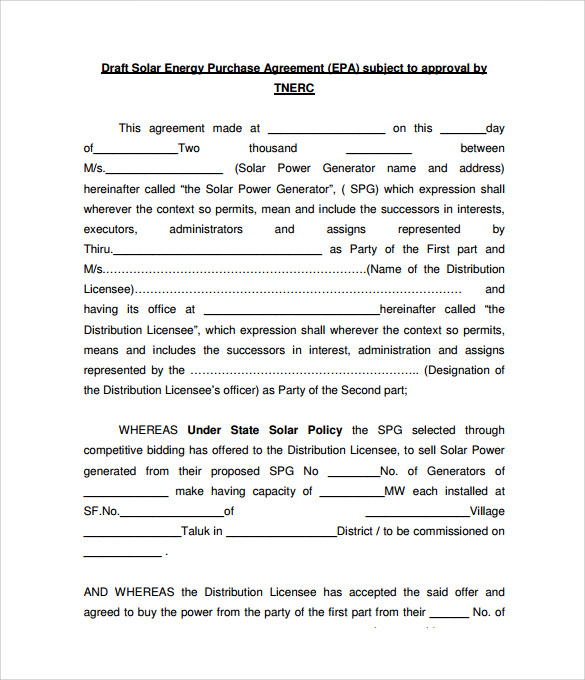 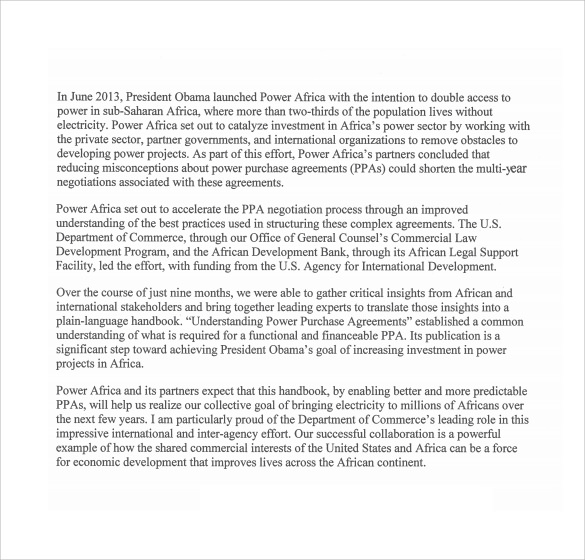 This one is an agreement between two parties with one being the generator and the other one the purchaser. 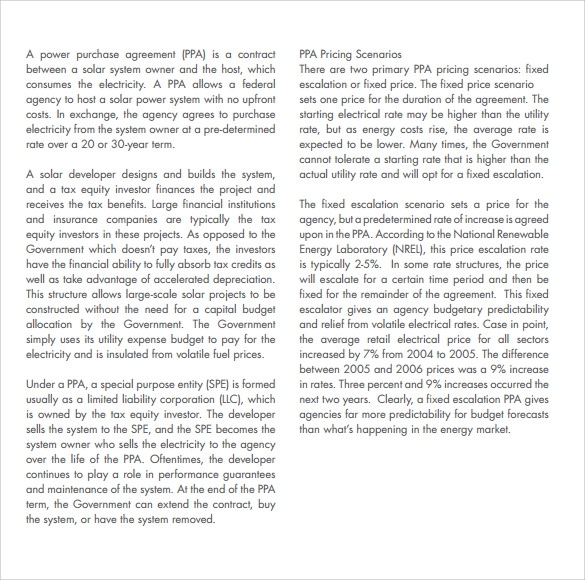 You can also download this in Word, PDF or PSD formats and customize it to your likes.It is also possible to include only what matters as you go along in this process. 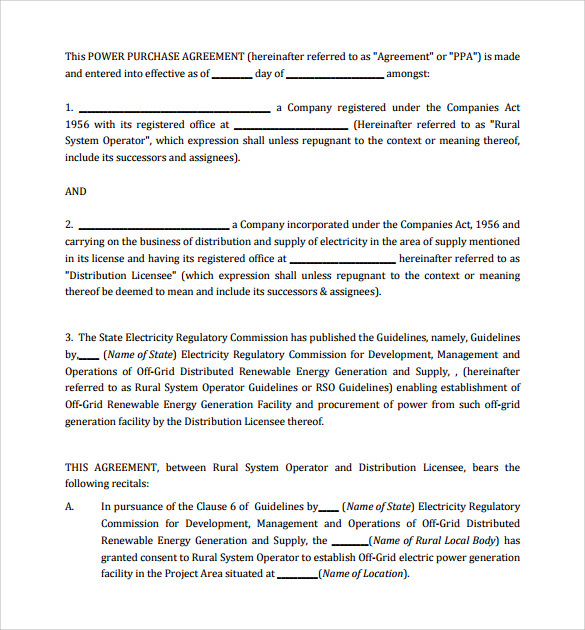 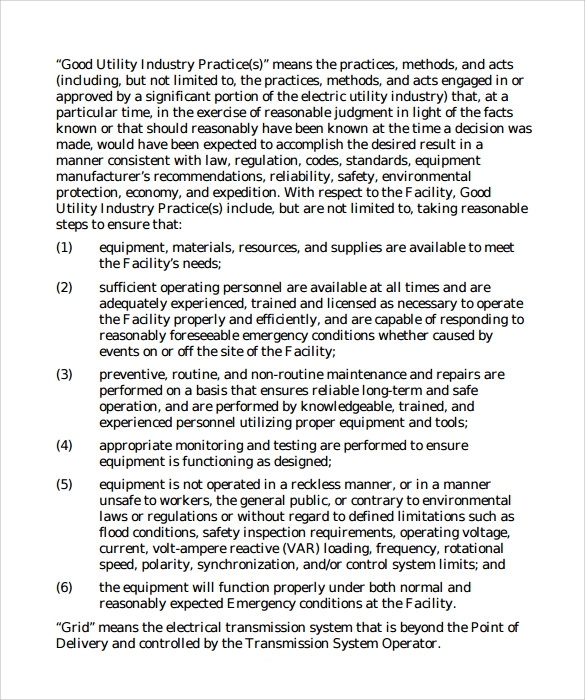 Details you should include here are the schedule for delivery of power, penalties in a case when power is not delivered as agreed and the payment terms. 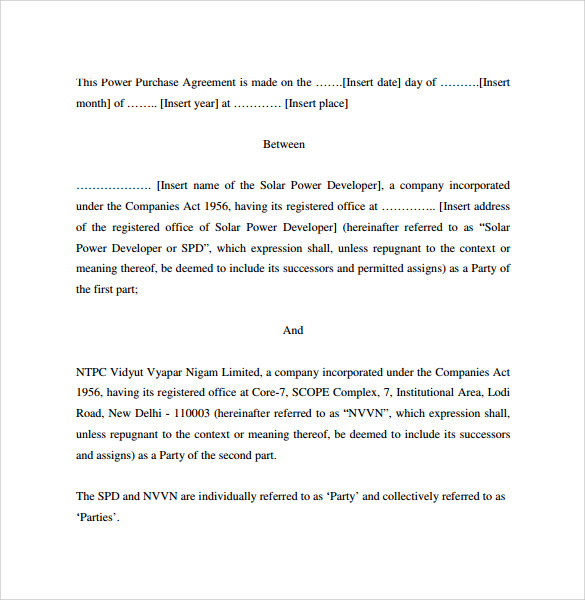 Contractual terms may last up to 20 years depending on the basis of the understanding among the parties to the contract.